The Federal Trade Commission asked the question Is MOBE a MLM Scam and decided on June 11th, 2018 that it was a scam. Not only has the FTC filed a temporary restraining order against MOBE owner and native Austrailian Matt Lloyd and his posse, but the feds have over 4.500 pages of evidence to back up all the charges. It’s estimated that MOBE, by means of their MASSIVE sales funnels, have stolen well over $124 million dollars from its customers which would make this one of the largest illegal Ponzi schemes that we’ve seen in decades! It’s absolutely amazing to me that there are people who didn’t see this coming or are shocked that this happened. All over the world, thousands of people were claiming that MOBE, which stands for My Online Business Education, was a multi-level marketing scam. I never joined MOBE personally because there were certain practices MOBE was engaged in that made me uncomfortable. Apparently, I wasn’t the only one. There were so many complaints that the FTC actually planted an undercover investigator to check MOBE out. Following years of more than 1,100 complaints, the FTC sent one of its own to become a member of MOBE. This undercover investigator discovered many of the scam claims that thousands of people have made were indeed true. Two of the top earners at MOBE, Michael Giannulis and Michael Williams are leaving the company. When your two top earners leave, that should send up a huge red flag! I have to tell you, if I received an email like this I’d be absolutely furious. Even after all of this, would you believe that thousands of people still support these guys and their business practices? If you go online and Google search MOBE and read some of the comments that appear after the article or post, there are thousands of people who will still do whatever these guys ask! The founders of MOBE tried to make some course corrections in their business practices once they knew the FTC was breathing down their neck, but sadly any so-called “course corrections” came too late. The problem with this hot mess is once one starts an illegal enterprise, it cannot be changed to appear legit as it was illegal to begin with. One of the main reasons I never joined MOBE is because they purposefully headquartered their operations in Malaysia to avoid any possible legal actions. MOBE used to be located in Australia but the Australian government banned them because they are considered to be an illegal MLM (Multi-Level Marketing) scheme. MOBE works like the classic pyramid scheme it’s considered illegal in a country like the United States. So, at this point the FTC (the US Federal Trade Commission) might either shut MOBE down or stop its online traffic from countries that have judged MOBE illegal like Canada, Australia, and the United States. 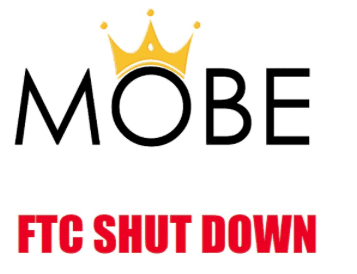 Make no mistake about it, if the FTC prevents MOBE members and visitors from accessing the MOBE website, then MOBE will die as the entity we know it as today. The second problem I had with MOBE had to do with the fact that as soon as you joined, you were OBLIGATED to invest a whopping $2,470 in their “Silver Mastermind” membership IF you wanted to reach the higher commission levels. Wait!..Hold on! This $2,470 membership was just THE FIRST of 5 products you will be obligated to invest in if you had any hope of reaching the higher commission levels. What happened is that people who wanted to reach these higher commission levels to make the really big money HAD NO CHOICE but to purchase the $2,470 “Silver Mastermind” membership. Let me say this: The Federal Trade Commission, in the case of MOBE, has determined that an MLM company primarily generating revenue via sales to recruited affiliates is a pyramid scheme. Only the people within MOBE was buying what MOBE was selling, and they had to keep making sales within MOBE in order to make the business viable. The bottom line is this: An MLM company without significant retail activity is a pyramid scheme. The FTC has presumably done their homework and concluded the retail revenue in MOBE among its own members/participants is quite substantial. If the majority of company-wide revenue is NOT derived from the sale of products and services to retail customers, then look out: You’re in the crosshairs of the FTC! It doesn’t take a village idiot to figure out that people not associated with MOBE aren’t paying $30,000 to $60,000 for marketing courses outside of the income opportunity. If an MLM company’s products offer real value, they’ll have no trouble establishing and maintaining a retail market OUTSIDE of the MLM opportunity. If there is NO RETAIL ACTIVITY outside of the MLM then it’s the income opportunity that is actually being marketed, which differentiates a pyramid scheme from a legitimate MLM company. This is true regardless of what products or services an MLM company markets. Most of the people who lost thousands and tens of thousands of dollars with the shutdown of MOBE were part of a multi-level marketing organization, or MLM. The problem with MLM’s is that they DON’T teach you how to build a real business; they primarily teach you how to recruit others into the MLM opportunity. Affiliate marketing is absolutely not MLM; what I blog about and write articles about is the benefits of joining Wealthy Affiliate, an online training platform. Wealthy Affiliate teaches people how to become proficient affiliate marketers through a series of training modules. 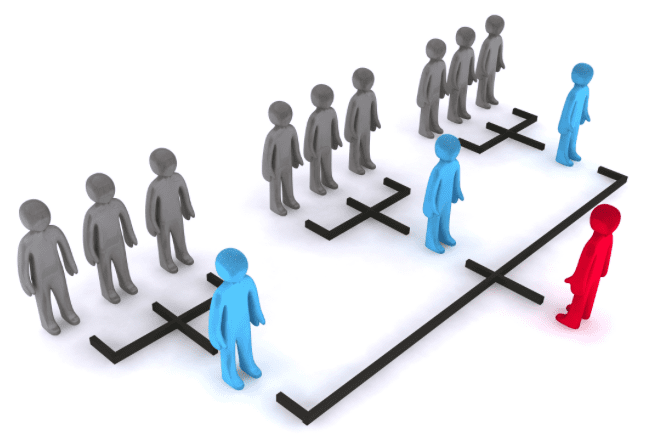 Because its affiliate program does not have a pyramid shaped, multilevel commission system found in MLM businesses and pyramid schemes, it certainly IS NOT an MLM. Anyone who is a member of Wealthy Affiliate, only earns commissions from sales made through their own referral links. We do not earn anything at all from the sales of members that we signed up. No one is recruited. You’ll find no down lines or up lines. You’ll find no recruiting meetings. You’ll find no sales meetings. Wealthy Affiliate does not promise you the moon and the stars; they never have in their 12 years of existence. If a person or organization tells you that you don’t have to work hard for your financial success, just “follow their system” and just collect checks and sip cocktails by the beach – you know something is seriously wrong. Sadly, most people are lazy daydreamers who just want “the good life” to come to them easily without a lot of sacrifice of time, mental and emotional energy. Very few are willing to work Saturdays and Sundays or work on their business after their 9 to 5 jobs Monday through Friday. Where do you stand? What do you think about this MOBE FTC investigation? Please feel free to leave your comments below. I really would like to hear what you have to say. Just another garbage MLM company amongst thousands that are out there! I have never been involved with anything MLM because in my mind you have to have no scruples at all who you sell to. I love it when you mention big earners. These are marketers who have big email lists and I’d like to bet most of their subscribers end up unsubscribing. I see you are part of Wealthy Affiliate, how is it going? Thanks for the information. Sad to say, most companies that follow the MLM pattern wind up becoming dumpster fires! It never ceases to amaze me how well read, educated people fall for these companies. As far as Wealthy Affiliate, so far it’s going well. I’ve learned more in the last 6 months about online marketing and making money online than I have in the last 6 years! People get tricked into so many things! Someone can make up a great story, people believe it and fall into the trap. Usually, people that spend their money on these kind of businesses are the ones in need, and out of desperateness, they follow the “honey-dipped” words of these people and get ripped off. It is simply not fair that his company has stoles such a large amount of money from the people. When I see that, I do have to bite my tongue in order not to say many things that I do regret later on. Thanks for sharing this review. Appreciate that you help to bring things to light. First of all, thank you for taking the time to read this post. I really appreciate it. Everything you said is correct. You’re right, it isn’t fair that so many people were scammed out of their money. The problem, Oscar, is that people don’t realize online marketing is a REAL business. An actual , bona-fide home based business. It requires a ton of time and work. Please continue having success at Wealthy Affiliate. Wow, what a scam this is! I’m so glad you’ve let us know about MOBE. $124 million is a lot of money to scam out of vulnerable people. As you say, it’s simply unbelievable that people would continue to support these guys. They ask you to invest $2,470 right off the bat – if that isn’t a red flag I don’t know what is! Are you saying that the primary way MOBE made its money was through the pyramid and not through the selling of products. If so, that really sounds like a scheme. I never liked the concept of MLM because as you say, it seems like you spend all your time trying to recruit everyone you meet. That just isn’t my cup of tea! I totally agree with you …MLM isn’t my cup of tea either. Glad you weren’t sucked in like so many other people were. A great article and thank you kindly for detailed indepth overview of MOBE. I have been aware of these and Matt LLoyd for years and avoided them, and thankfully so. Correct me if I am wrong but has MOBE not been know by many other different names such as My Online Business Empire, also? 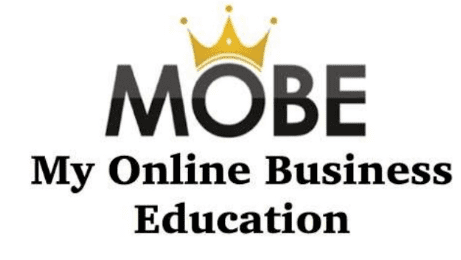 Yes, you are correct – MOBE stands for My Online Business Empire. I’m very happy you avoided them…Wise decision on your part! Thank You for reading…I really appreciate it!